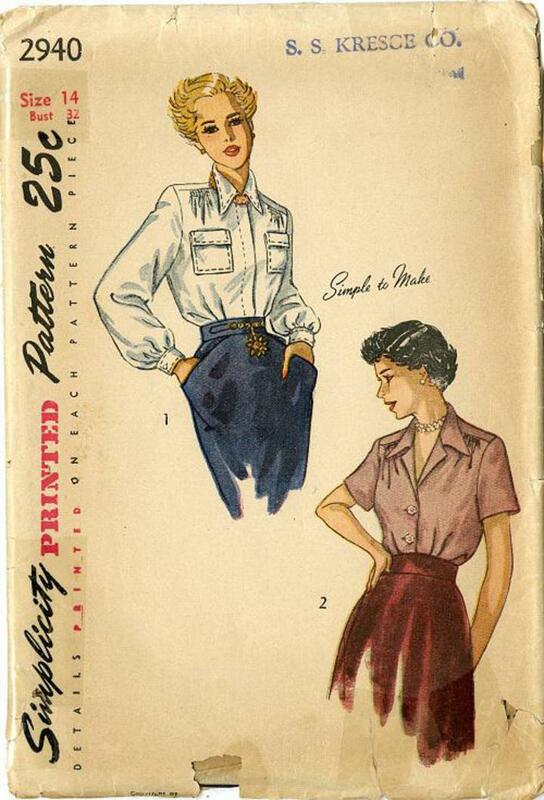 1949 Simplicity #2940 vintage sewing pattern, misses' blouse, size 14. 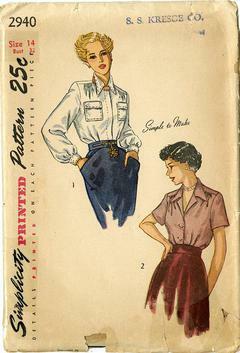 A forward shoulder seam and waistline tucks release easy bodice fullness. A convertible colar is featured.